Cult-favourites Gandini Juggling join forces with Sadler’s Wells New Wave Associate Alexander Whitley. 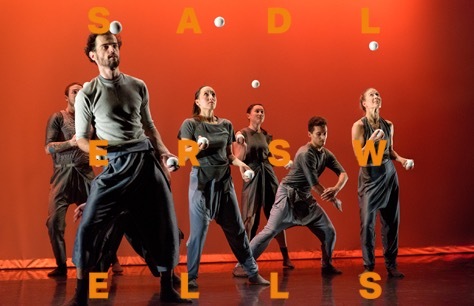 For their main stage debut, cult-favourites Gandini Juggling join forces with Sadler’s Wells New Wave Associate Alexander Whitley to create a jubilant work of deconstructed rhythms and patterns. Performing to an original score by Gabriel Prokofiev, five jugglers and four contemporary dancers explore and evolve their respective art forms in this new show. 31 January - 2 February 2019. Loved it! Full of energy. Great dancing. Great juggling!